As we all recover from Michael, many of us are getting a new or repaired roof on our homes. In many cases, your insurance rates could be substantially reduced with a Wind Mitigation Inspection. This inspection verifies construction methods/technologies in your home that provide greater protection from wind-borne hurricane damage. A new roof alone can qualify you for an insurance discount. FIRST, contact your insurance company to find out how much of a discount you may qualify for THEN call me at (850) 814-5419 to schedule your $100 Wind Mitigation Inspection. I produce your inspection report digitally and send it to you with the appropriate Florida form and necessary pictures. If you provide me your Insurance Agent’s email address, I would be happy to send them copies too. A home is one of the largest purchases most people will ever make, so it is important to understand the condition of your investment. I promise to provide you with a timely and thorough non-invasive examination of your home’s accessible structure, systems and components. 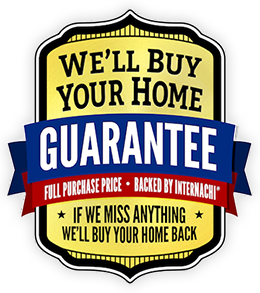 I guarantee that I will give you my best effort to provide you with the knowledge you need to make an informed home-buying decision. A home inspector is your first tool when it comes to making important decisions about a home investment. Many existing homes may qualify for discounts without making any changes! This limited scope evaluation documents the age and general condition of the roof, plumbing, electrical, and HVAC systems for your insurance company. This limited scope evaluation documents the age and general condition of the roof for your insurance company.